From primary schools to universities. From indoor and outdoor arenas, stadiums to pool areas. 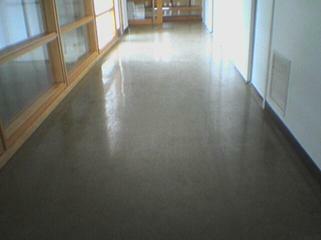 Education and recreational concrete floor coatings are constantly in use and require similar types of concrete flooring systems. Concare's concrete floor coatings stand up to the most challenging environments including water, chemicals, static, slipping, tripping and more. Choose from a wide variety of concrete floor coating colors to support a positive learning environment or to compliment the design of the recreational facility. All projects are installed by highly trained employees with years of experience installing concrete floor coatings of all sizes and shapes. Contact Concare to begin your institution, recreational facility, arena and stadium project today!